East Village San Diego approximate 10,000 residents living in mid-rise or luxury high-rise condominiums and lofts. Continuing urban development and the steady growth of new businesses draws locals from neighboring downtown areas. Residential aspects of the East Village community became a reality in 2005 after PETCO Park was established in 2004 and residential development started. At 325 acres, East Village San Diego is the largest and fastest growing urban neighborhood in Downtown San Diego. East Village, also known as Ball Park District because of the Petco Park being home of the San Diego Padres is bordered to the west by the Gaslamp Quarter, north-west by the Core District and Cortez Hill. The thriving community of East Village San Diego is home to more than 700 businesses that include hotel, restaurants, coffee shops and art galleries. 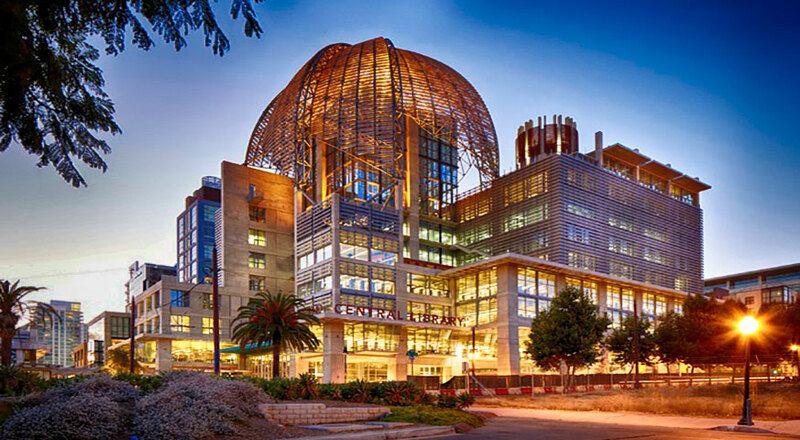 Besides of being the home of the San Diego Padres, East Village is also the home of the new Central Library, the San Diego City College, the New School of Architecture, the San Diego Fashion Institute and the Thomas Jefferson School of Law. With the completion of Petco Park in 2005, a large number of new residential communities became a reality in East Village making it one of the most diverse neighborhoods of Downtown. Besides the newly developed mid-rise and luxury hi-rise condo buildings that offer penthouses, townhomes, studios, lofts and condos for sale, former warehouses have been transformed into charming residential units with mixed uses offers loft style residences similar to those found in New York and Chicago adding an urban appeal to this vibrant and exciting neighborhood. On the map above click on the building of your choice to see more information and all the condos currently for sale in that building. For More information on East Village San Diego condos for sale please call us at (619) 921-0284 or use the form below.